It is amazing how much the world changed during Laura’s lifetime. Born in a Southern Alberta dust storm, at five years old she was on a wagon train with her parents and grandparents as they headed to Northern Saskatchewan in order to create a new life on a homestead. She grew into adulthood in the Great Depression as clouds of dust blanketed the prairies and jobless men road freight trains in search of work. The ‘great’ depression barely ended when the Second World War seized the world in it’s powerful grip. It was a character building period that began in the ashes of one world war and ended with the euphoria that accompanied the years following World War II. The first 30 years of her life were spent without the benefit of electricity or running water, with food that was largely home grown and preserved by the family. 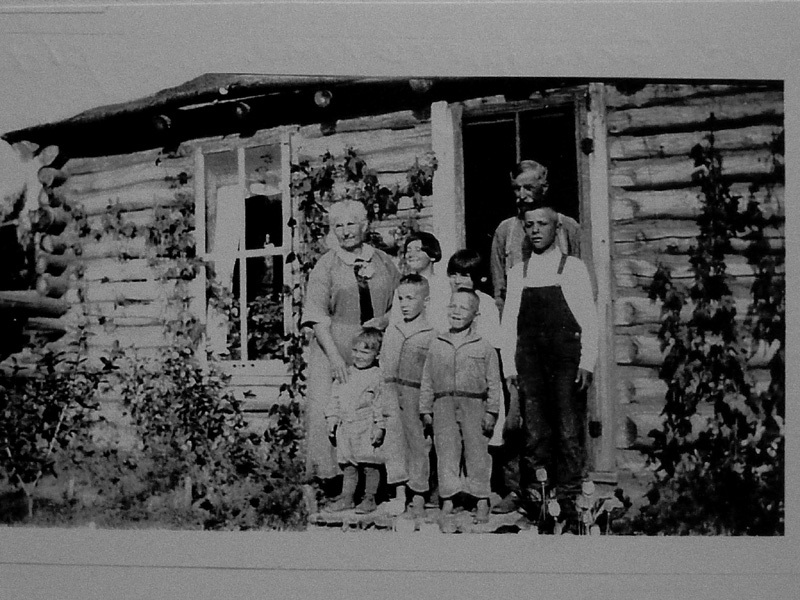 The long, sometimes, bitterly cold prairie winters, created a family closeness that would hold for a lifetime. Laura and every sibling was born at home and medical help was often days away. Families frequently numbered ten or more and everything was shared among family and friends whenever the need arose. For the next 60 years Laura lived and watched as the world of technology took mankind to the moon, built a space station and explored Mars as everyone watched from their living room; a world where families communicated instantly by email and maintained daily contact by sharing pictures, stories and playing games on Facebook. 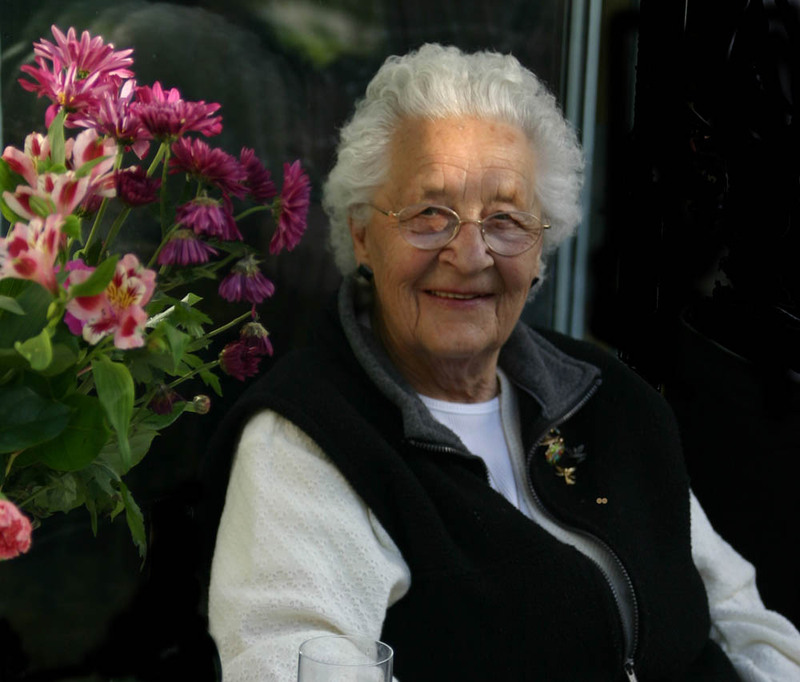 The following short biography first appeared in a Laura’s Heritage Cookbook, completed in the spring of 2008 as surprise for her 90th birthday party. The idea of the book originated with Lynn while mom was living with our family in Victoria in 2005. When mom came to stay, she brought with her a large file filled with her favorite recipes; Most were handwritten, a few typewritten, a few torn from other books and many had little notes jotted in the margins to remind her of the source of the recipe, a story associated with that recipe or another small memory. Unbeknown to mom, Lynn spirited the recipes away, photocopied each of the more than two hundred pages and secreted the copies for future use. Over the next three years Lynn transcribed the entire package, all with the intention that one day compiling a recipe book. With mom’s 90th birthday was approaching in 2008, there seemed no better time to put the plan into action. Over several weeks Lynn categorized and formatted the recipes using a program designed for that purpose. Meanwhile, I began searching for photographs for insertion in the book and, as well, began writing a short biography to be used as an introduction. The biography, with corrections and updates, is presented in this five part blog entry. The whole process took much longer than expected and as the clock clicked toward the day of our departure from Victoria, we frantically worked to complete the final draft. It was taken to the printer two day’s before our departure and on the evening before departure, the first 150 copies came off the press. For this blog entry, a larger selection of photographs represent each of the four major periods of mom’s life. More in depth stories of the life and times of Mom, Dad and our family are presented in the Family Stories section.